Sherwin-Williams Protective & Marine Coatings, Cleveland, OH, has launched Zinc Clad 4100, a high-solids coating featuring recoat times as short as 30 min., allowing for accelerated shop throughput, enhanced project schedules and fast field project turnarounds. In addition, the three-component, organic zinc-rich epoxy coating eliminates the need for sweat-in time, and packaging allows applicators to mix components directly in the Part A container for faster and more accurate mixing. 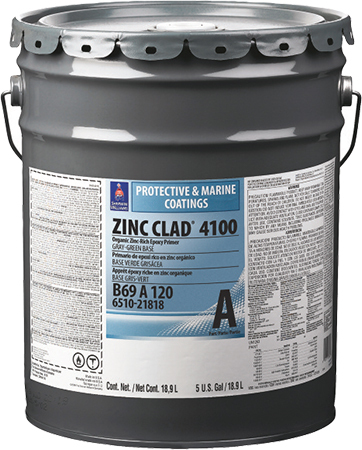 “Zinc Clad 4100 answers our customers’ need for a high-solids organic zinc-rich epoxy that enables productivity improvements in steel-fabrications shops and field applications,” says Tim McDonough, marketing director. See also: Sherwin Williams Co.